Ready for something different! These tees are BOMB! 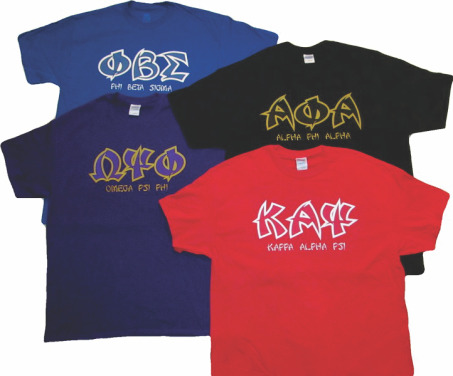 Add an asian flair to your greek letters with this tee. Your organization's name is spelled out and embroidered underneath your letters in a coordinating font. This tee is a must-add to your greek tee collection!